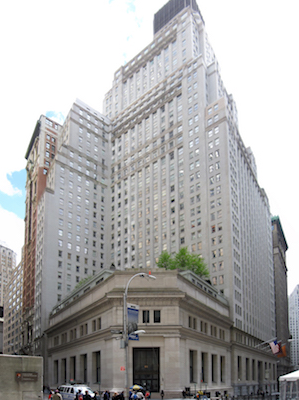 NEW YORK (Legal Newsline) — New York Attorney General Eric T. Schneiderman recently reached a settlement with Africa Israel Investments Limited to resolve defect claims for a building it’s been developing in Manhattan. The publicly traded conglomerate started development of 15 Broad Street close to a decade ago and the construction stalled. As part of the deal with Schneiderman, the developers must finish construction, then surrender control of the building to the condominium owners – resolving defect claims at three condominiums in Manhattan and Brooklyn – and pay $2 million to New York City to compensate for alleged improper receipt of tax benefits. The deal was reached under the Martin Act, New York’s blue-sky law, which gives the state’s attorney general broad enforcement powers to force real estate developers to live up to their legal obligations and promises.